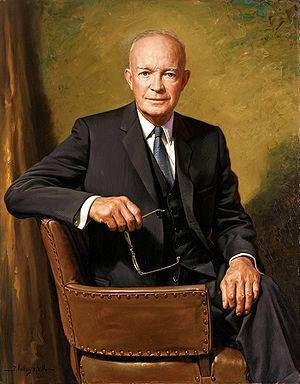 One of the most interesting aspects of President Eisenhower’s Farewell Address in 1960 was his warning to the American people regarding the danger that America’s military-industrial complex posed to our democratic processes. Eisenhower didn’t make it clear whether he was referring to the economic dimension associated with warfare-state spending or to the possibility of a military takeover here in the United States. Of course, statists would say that there’s no way that Eisenhower would have been referring to the danger of a coup here in the United States. He would have had to be talking about the economic danger posed by ever-increasing spending on warfare-state programs, they would say. The United States is the last place where people would have to fear the danger of a military coup. Eisenhower’s successor, John F. Kennedy, however, did not share that sentiment. Kennedy was truly concerned about the possibility of a military coup during his administration, especially given the deep animosity that the military and the CIA had toward his foreign policies, as I outlined in my article “The War Between JFK and the National-Security State.” Interestingly, while I may have missed it, I have never come across anyone who has mocked or ridiculed Kennedy for his concern over this possibility. Read the rest via The Fourth Branch of Government The Future of Freedom Foundation.